Andre J. Bauwens, former chief naval architect of J. 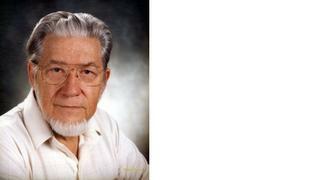 B. Hargrave Naval Architects, Inc. in West Palm Beach, died on June 29, 2011. In making the announcement Michael Joyce, CEO of Hargrave Custom Yachts called Bauwens one of the key people responsible for building the company’s outstanding reputation in yacht design and engineering. Born in Brussels in 1929 Bauwens moved to the United States in 1956 where he graduated from the Westlawn Design Institute prior to starting his career working with the MacLear & Harris design firm in New York. He moved to Florida and joined Hall of Fame designer Jack Hargrave in West Palm Beach in 1966. Bauwens served as chief naval architect of the Hargrave yacht design section and also wrote the specifications for all new yacht designs. During his tenure Bauwens created the comprehensive company design manual which is still in use today and which helped ensure that all the designers at the firm incorporated the high the standards set by Jack Hargrave into each new project. A resident of Palm Beach Gardens, Florida, Bauwens was a passionate sailor and maintained a lifelong love of gardening as well as a commitment to the welfare of animals. He is survived by his wife Mariette.